Our recreational dance program offers a smaller class size, a fun and healthy atmosphere, and performance without competition. 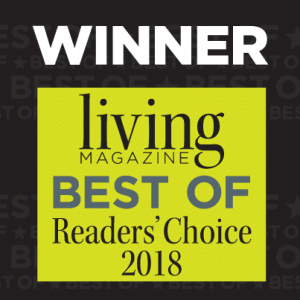 We have a unique environment for dancers of all ages and skill levels to perfect their technique, learn new things, and enjoy their time dancing. As parents ourselves, we realize how important it is to feel comfortable with where you allow your child to learn. While offering our students a variety of performance opportunities, we choose to do so without the stressful audition process. It is a paramount concern of ours to foster the joy of learning in our students, and we are delighted to see them grow in our non-threatening and stress free environment. Specifically refers to parents or siblings living in the same household and not extended family. Try a FREE CLASS the week of June 9th-15th... just fill out the form below, and let us know which class your student will be attending. 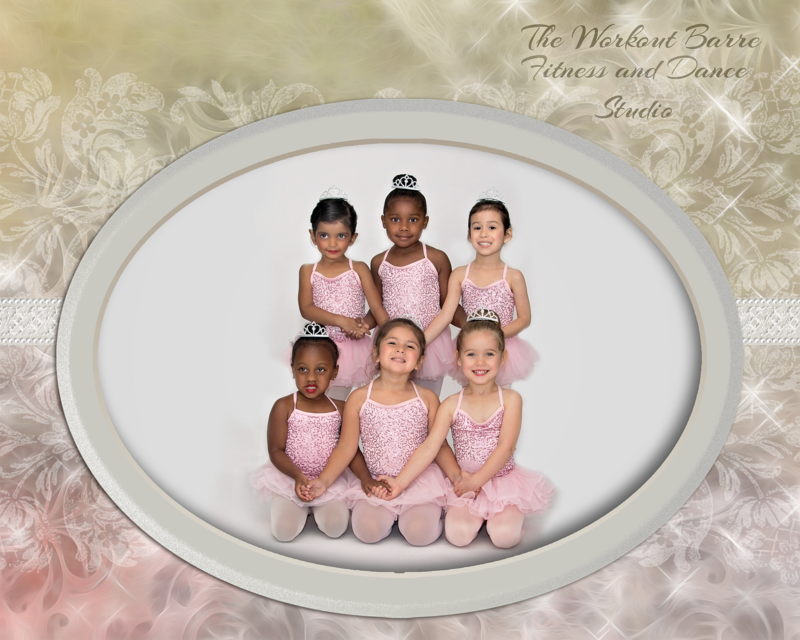 This class incorporates ballet, tap, and creative movement, working on developing fundamental skills in each discipline. Students will do some warm up movement, stretching, barre work, and progressions across the room (including skips, kicks, and basic turning skills). Your student will also learn and practice a recital routine. In this class your child will be learning the classic ballet positions and terminology as well as basic tap skills in an imaginative way. This joint level class is an introduction to jazz technique, progressions, and combinations following a variety of jazz dance methodologies. 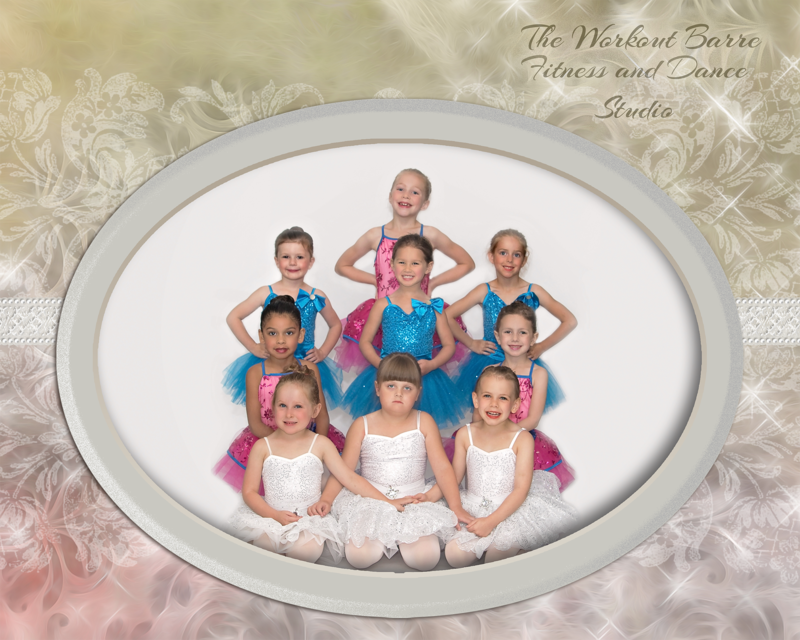 Students will move to more advanced barre work as well as classical ballet center work. This class will also have students increase the length of tap combinations, adding new skills including shuffles, ball chains, cramprolls, buffalo, grapevines. Students will continue to learn elements of rhythmic and theatrical tap. In this 60 minute class students explore Hip-hop choreography, build on their sense of rhythm and gain the confidence to perform. Our classes feature age appropriate costuming and dancing to popular, clean music. Students will prepare and develop traditional drill team technique, focusing on precision, presentation, flexibility, turns and leaps. 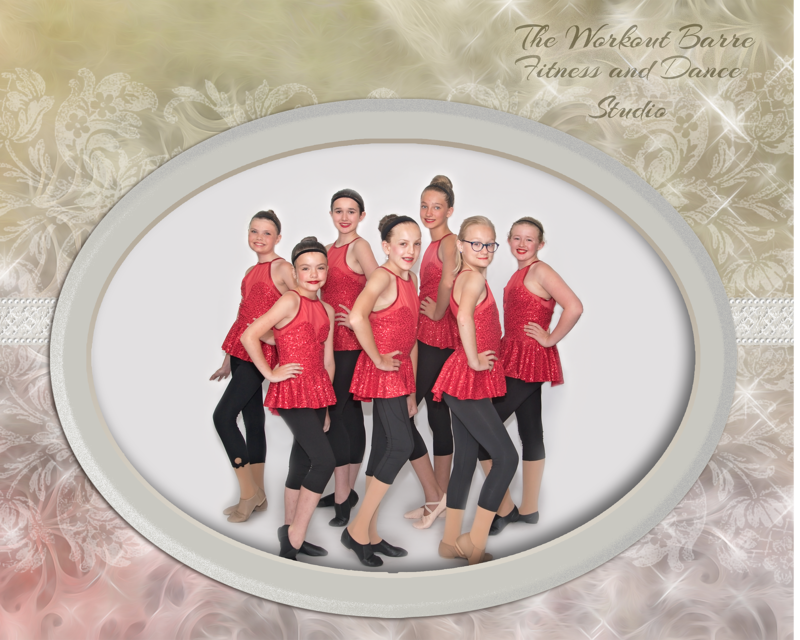 Students will work on skills including as Fan kicks, Pas de bourree into pirouette, Single turns, Grand jete, Sauté de chat, a variety of leaps and hops with one footed landing. Students learn and practice advanced combination movements such as Lindys, Maxie fords and Time steps. Students will also learn the art of musicality, which means becoming attuned to the rhythm, melody and mood, of a song -- creating a connection between the music and the dancer. The 2018-2019 Session begins the week of August 27th. Is there a discount for multiple student families? What if my student needs to withdraw from class? If you wish to withdraw from classes at The Workout Barre, please notify the studio in writing before the 1st of the upcoming month to avoid tuition being charged. Any tuition, recital, or costume fees that have been paid are non-refundable. What is the studio refund policy? Refunds will not be issued for missed classes due to cancellation or public holiday. When possible, we will endeavor to arrange make-up lessons for classes cancelled by The Workout Barre or will offer an alternative class. There are no refunds on registration, tuition, or costume and recital fees. What is the studio makeup policy? If your child misses a class, they may be able to take a make up class. We cannot guarantee that a makeup class will be available. Please speak with the front desk in person or at 832-761-0688 to arrange a time for you to attend a different class, if possible. The make up class may be with a different teacher. All make up classes must be taken within 15 days of the missed class, and they do not rollover to the following month. There will be no refund for classes missed. When are the recitals? What are the recital fees? Our Winter Recital is in December and Spring Recital is in June. 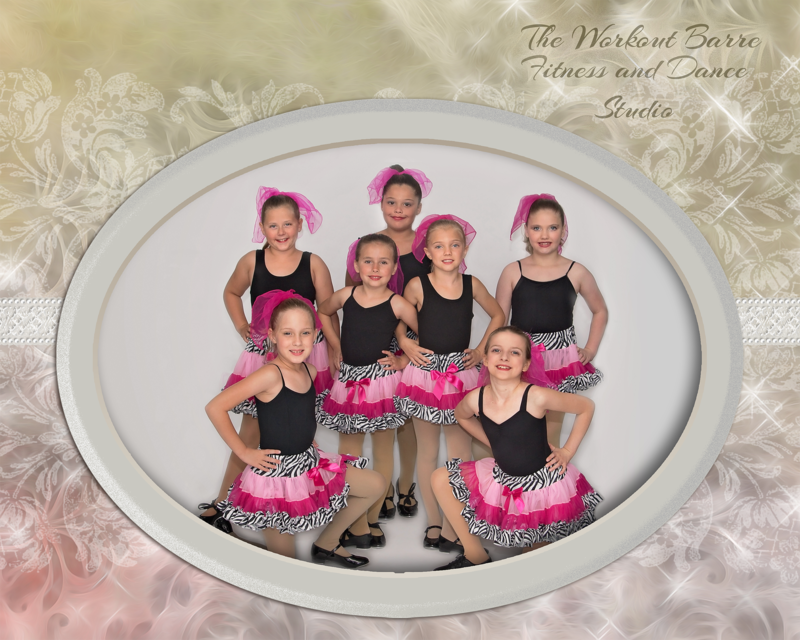 Recital Fees are $60 per family and are divided into two payments of $30 and will be automatically charged to the card on file on recital fitting days. This fee is applied toward venue rental, insurance, programs, sets, props, and tech crews for sound and lights. This fee also includes tuition for the month of June classes and dress rehearsal. Additionally, each family will receive 10 tickets per recital. Recital fee is non-refundable. What are the costume requirements? Each class has unique costume requirements. In an effort to keep cost down for our families, the class uniform leotard will be used as part of their recital costumes. Each class will also have either a skirt or other costume piece to wear with their leotard, costing $20 or less (depending on the age group). There will be one additional costume for most classes. The cost will be $55 for children's sizes and $65 for adult sizes. Costume charges will be divided into two payments and automatically charged to the card on file on recital fitting day. How is the schedule adjusted for holidays and inclement weather? The Workout Barre follows the same calendar as the Klein ISD. The studio will be closed on Labor Day, the week of Thanksgiving, the weeks of Christmas and New Years, Spring Break, and Memorial Day. If Klein ISD Schools close due to weather conditions, our studio will also close for the safety of our staff and students. What is the studio dress code? At The Workout Barre, we believe that wearing studio uniforms encourages discipline, diminishes economic and social barriers between students, increases a sense of belonging and school pride, and provides uniform options when our students may be invited to perform in the community. Hair should always be pulled back for class, and the appropriate shoes (tap, ballet, or jazz) will be required. Fitting Day is highly recommended (but not required). On Fitting Day, August 11th from 12-4pm, receive 15% off all uniform purchases + take advantage of tax free weekend! What time should we arrive for class? Please be courteous to your fellow classmates and the instructor by arriving 10 minutes early for class. On the day of your first class, please arrive 20 minutes early to complete paperwork that must be completed before your dancer can begin class. Where can parents and siblings wait during class? We ask that siblings are with the parent or guardian while in the studio. We have a designated waiting room for parents and children who will be waiting during class. We look forward to meeting you! *If you are signing up for a free class the week of June 9th-15th, please fill out only the required fields and let us know which class you plan to bring your student to. You do not need to fill out the payment information fields. Students are not guaranteed a spot in class until the registration fee has been paid. If you provide your credit card information in the registration form, we will charge the registration fee ($60 for one student or $100 for the family) and register your student(s) for their classes. 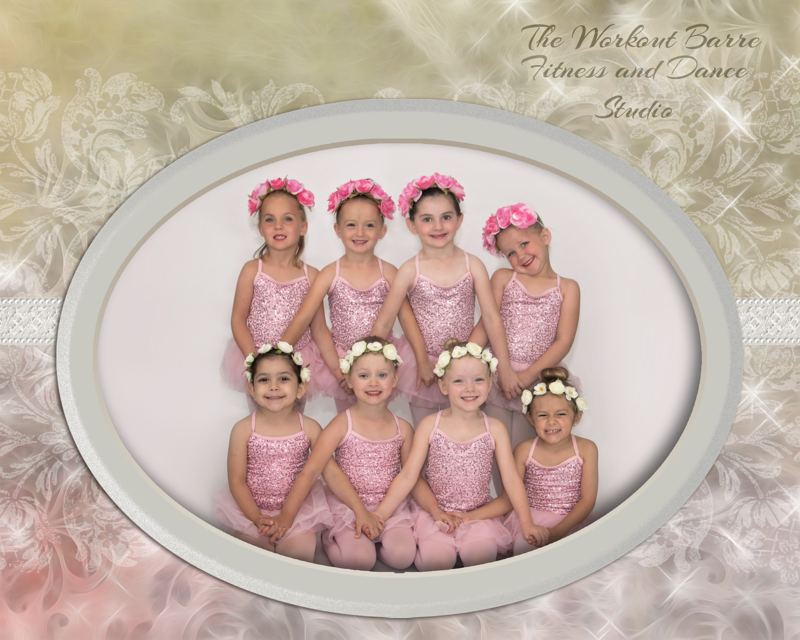 There is no registration fee for the Summer Dance Session. If you do not provide your credit card information, we will contact you via phone or email to receive payment for the registration fee. Let Us Show You The Workout Barre Difference! First Time Visitors, Try Your first Barre or Adult Ballet or Adult Tap class for $5!